The State Library of Pennsylvania has announced their historic Forum Building and the Office of Commonwealth Libraries will close for renovations and be temporarily relocated to buildings within Harrisburg’s Capitol Complex. Relocations –see below—will begin in May 2019. The renovations will begin in September 2019 and the expectation is that the renovation will be complete by the fall of 2021. The Office of Commonwealth Libraries, which includes the Deputy Secretary/Commissioner of Libraries and staff, will relocate to the Pennsylvania Department of Education (333 Market Street, Harrisburg, PA 17126). The Bureau of Library Development will also relocate to the Pennsylvania Department of Education. Saskatchewan archivists are preparing to move millions of documents into a new home, after the province took ownership of CBC’s Regina broadcasting centre to allow the Provincial Archives of Saskatchewan to consolidate its massive holdings. The founder and CEO of MyHeritage, Gilad Japhet, obviously has a number of interests. Besides being a lifelong genealogist, he also has an interest in returning stolen goods. His company, MyHeritage, has a history of returning looted assets confiscated during WWII to their rightful owners. Japhet points out that one of his company’s driving forces is to do good, and to place particular emphasis on conducting pro bono projects worldwide. You can read about one of the recent successful returns of looted artwork stolen by the Nazis to their rightful owners in the MyHeritage Blog at: https://blog.myheritage.com/2019/02/genealogical-detective-work-solves-looted-art-mystery/. A 27-year-old Indian man plans to sue his parents for giving birth to him without his consent. Mumbai businessman Raphael Samuel told the BBC that it’s wrong to bring children into the world because they then have to put up with lifelong suffering. Obviously, his parents should have asked his permission first. If you want to read more about this bit of stupidity, look at the article by Geeta Pandey in the BBC News web site at: https://www.bbc.com/news/world-asia-india-47154287. Researchers from the University of Portsmouth, the Modern Records Centre and the National Railway Museum (NRM) are looking for volunteers to help transcribe a book of railway worker accidents spanning 1901–1907 in just 24 hours. The project is one of three that have been chosen as part of Who Do You Think You Are? Magazine’s annual Transcription Tuesday event, which this year takes place on 5 February 2019. Heather Yvonne McLean has been involved with the New Zealand Society of Genealogists since 1972 and has been an active member of the Society’s local groups in the Bay of Plenty, namely Tauranga, Te Puke and Katikati. Mrs McLean’s key contribution has been the transcribing of headstones in the cemeteries of the Bay of Plenty over the course of 30 years for the benefit of family historians and researchers. She has volunteered two days a week with the Tauranga Family History Library since its inception in 1993 and volunteers every Wednesday at Tauranga City’s Cemetery Records office collating death and cremation notices. What do you do when the National Archives runs out of room to store documents? That’s the question being asked now in Iceland. The National Archives of Iceland (ÞSK) have temporarily stopped receiving government documents due to a lack of shelf space, RÚV reports. Representatives say the government has known about the situation since at least January, but has yet to solve the problem. A quick eye by Goodwill workers in South Jersey turned up framed pages from an original 1774 Philadelphia newspaper with an iconic “Unite or Die” snake design on the masthead. It is believed to be one of the four known copies that exist. The frayed Dec. 28, 1774, edition of the Pennsylvania Journal and the Weekly Advertiser boasts three items signed by John Hancock, then president of the Provincial Congress, who pleads for the Colonies to fight back “enemies” trying to divide them. 269 containers of cremated remains were found at the Cantrell Funeral Home in April by the Michigan Department of Licensing and Regulatory Affairs after launching an investigation into the east-side funeral home. There, investigators found two embalmed bodies left in caskets in the garage since the end of 2017. A third body also was found, held by Cantrell from January to April while families paid for the services, and “more than 20 bodies awaiting final disposition,” were covered in mold, LARA said. Officials found a box of fetal remains on Aug. 29. An anonymous letter led them to the remains of 11 infants on Oct. 12. It’s unclear why the remains were left at the funeral home, some for as long as two decades. Detroit police are investigating the alleged wrongdoing. In the meantime, police and other authorities are attempting to locate relatives of the deceased in order to dispose of the bodies in accordance with the wishes of families. Jefferson City, Mo. — Secretary of State Jay Ashcroft, in collaboration with the Missouri Historical Society, today announced the discovery of 13 pages from the 1880 U.S. Census Population Schedule. Identified by the staff of the Missouri State Archives, a division of Ashcroft’s office, the pages record the households of the 99th Enumeration District in Perry County, including the name, age, marital status, occupation, level of education and more for 633 individuals then residing in the county’s Union Township. He then goes on to give an overview of the efforts of the National Archives and Records Administration’s preparations for easier access to the 19th Amendment’s records concerning women’s suffrage. You can read David Ferriero’s short overview at https://tinyurl.com/y7lphemy and then he references a more in-depth article at: https://wikiedu.org/national-archives-professional-development. Is This the Best Family Tree “Chart” Ever? A family tree chart is a fascinating way to trace your ancestry. Commonly shown as a chart with the oldest generations at the top and the youngest generations at the bottom, these simple layouts allow you to discover the line of past and present family members that led to your very existence. However, the relatives of Reddit user OrbDeluxxxe took the family tree concept to the next level with a very special family portrait taken during their recent reunion. All 45 members stood on the balconies of the clan’s large lake house, arranged to visualize each generation. The image shows the oldest couple standing at the top of the “tree house” with their six children and spouses standing on the level below them. The third generation are at the bottom, five of which have the fourth generation babies in their arms. Each family is represented by color-coordinated t-shirts, and arranged in order of oldest to youngest (from left to right). You can read more and see the photo at https://mymodernmet.com/family-tree-house-orbdeluxxxe. You can also see a (slightly) larger image of the photograph at https://i.redd.it/32390sq6trf11.jpg. 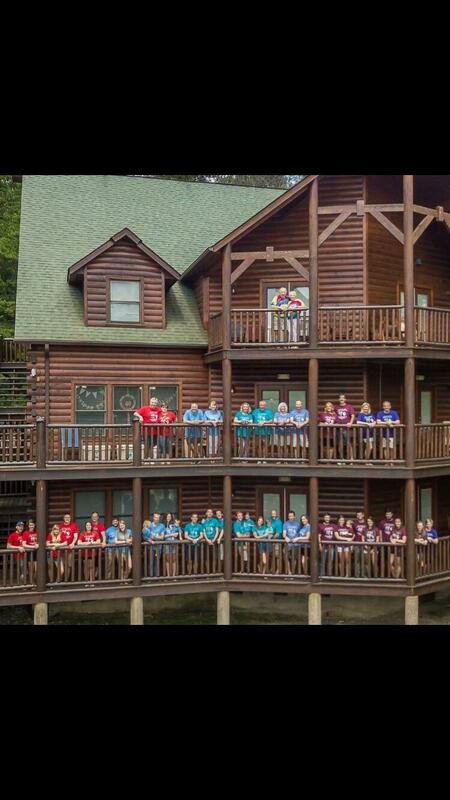 Is this the Largest Family in the World? An 87-year-old in the Ukraine has 346 living descendants. Can anyone top that? Pavel Semenyuk, 87, always dreamed of a large family and was thrilled when his late wife gave birth to 13 children. Many births and marriages later, the Semenyuk clan stands at a whopping 346 living descendants, with the youngest member just two-weeks-old. Mr. Semenyuk now has 13 living children, 127 grandchildren (each child had approximately 10 children? ), 203 great-grandchildren and even three great-great-grandchildren. ‘I know the names of those who are older. But I often cannot remember the names of the young ones,’ Pavel said. The USCIS Genealogy Program was often criticized for being vey slow to respond to requests for photocopies of records of immigration and naturalization records of deceased immigrants. The records were typically not delivered for six months or more after being ordered. Sometimes it was much longer than six months. I have heard stories of delays of 18 months or longer and occasionally records never being delivered at all. Reportedly, that has recently changed. In January of 2018 the National Records Center in Lee’s Summit, Missouri, assumed responsibility for the USCIS Genealogy Program. Thanks to several workplace efficiencies, requestors now receive higher quality record scans, along with improved service. Index searches are now completed in an average of 20 days. Record requests are completed in 30 days, on average, and inquiries sent through the Genealogy Program mailbox (Genealogy.USCIS@uscis.dhs.gov) receive a response within five business days. More information is available at www.uscis.gov/genealogy. The majority of Armenians are under the mistaken belief that all pre-genocide Armenian records have been destroyed and that little can be learned about their personal ancestry beyond what has been handed down through oral tradition. It is undoubtedly true that most pre-1915 Armenian church records were destroyed either during the genocide or in the years since. In addition, few genocide survivors were able or willing to recount their experiences or their family lineage. But that is not the complete story. “My objective here is to detail some of the available source records. In a number of articles in the Armenian Weekly and on Houshamadyan.org, I have only touched on some of these sources. I would like to expand on those initial articles. The obvious question remains, what records exist but are undocumented, where can the be accessed, and how can they be similarly preserved?